An apocalyptic battle between good and evil is vigorously, violently fought in British author G.P. Taylor's suspenseful, action-packed fantasy.... a pageturner bursting with magic and myth. (Ages 11 and older). Vicar Obadiah Demurral no longer wants to worship God--he wants to be God! Obadiah Demurral may be a vicar, but knowing what master he truly serves would come as a shock to the villagers of Thorpe. Craving power and filled with insatiable greed, he has welcomed a darkness into his life that enables him to do terrible things, in the hope of harnessing control over the universe. He will stop at nothing, and as a shadowmancer--a sorcerer who speaks to the dead--he even commands restless souls to do his bidding. Who will stand against him? Young Raphah has come from another continent to reclaim the precious artifact--dangerously volatile in the wrong hands--that Demurral has stolen. Even younger and less experienced in the ways of battle are Thomas and Kate, accidentally drawn into this war between good and evil, this struggle against Demurral that brings them face-to-face with the powers of darkness in an epic battle. It was a still October night. On the cliff top the harvest was gathered in and sheaves of corn were stacked together to form peculiar straw houses. A bright silver moon shone down on a calm sea. In the distance the silhouette of the Friendship, a collier brig, could be seen picked out against the waves. The sails of the ship looked like the flags of a small army preparing for war. The brilliance of the full moon penetrated the darkest depths of the wood that gripped the tops of the cliffs. A small, darkly clad figure in a frock coat and knee boots stumbled along, carrying a long black leather case, timidly following a tall, confident man with long flowing white hair. Nearby, a fox lay hidden in the undergrowth, dreaming of fresh rabbit, when suddenly it was woken by the panic of a deer bolting from the cover of a holly bush and running deeper into the darkness of Wyke Woods. The traditional religions of early Britain as well as modern divination practices come into Taylor's line of fire. However, his message is clear—evil is always punished and only the faithful will be saved in the end. Ages 12 to 18. The characters are either ecstatic believers (It's as if I was blind, and suddenly the blindness is gone), candidates for conversion, or evil adversaries, and although Taylor introduces some deliciously scary demons and monsters, the moments of high drama are merely interruptions in what amounts to a rather ponderous sermon, suffering from characters too overshadowed by pyrotechnical plots and thematic enthusiasms to fully fire the imagination. Taylor's reliance on telling emotions rather than showing does not help the reader develop a rapport with the characters. Nevertheless, the struggle between good and evil, told in a rather unusual setting in a unique way, makes up quite a bit of ground lost in character development. Ages 12 up. 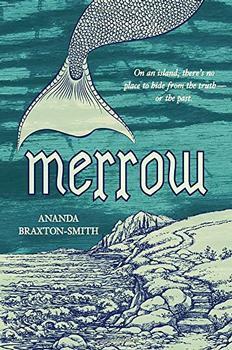 Grade 7 Up-The atmospheric Yorkshire coast is the setting for this good versus evil fantasy..... Biblical allusions abound, sometimes bordering on direct quotes. The theme of the triumph of love and light over pure evil reflects the Christian gospel message, with overtones from Paradise Lost. Thomas has dreams or visions of someone who can only be Jesus. Raphah heals a deaf boy and casts out demons. He is also brought back from death. Whether teen readers will understand all this is a matter of conjecture. This novel is a different kind of fantasy, partly because of the allegorical elements of the Christian faith and partly because the book manages to provide a strong critique of the shortcomings of organized religion, exposing the deception of power and forcing the issue of true faith....The readers of this text will come to it for different reasons—a high compliment to any author. Ages 15 to 18. Taylor, a vicar himself who is making his writing debut, offers plenty of action, suspense and mystical creatures, all sure to hold appeal for fans of the fantasy genre. Ages 12-up. With a 250,000-copy first printing and a strong publicity campaign in the works, this British best seller will surely find an American audience. Highly recommended for all collections. This is a great book with original characters and such an interesting storyline that just won't let you put it down! Full of fun, adventure, and some suspense. A breathtaking ending!